Daily at 0801, 1202, 1801, 2101.
automatic play; no direct play. 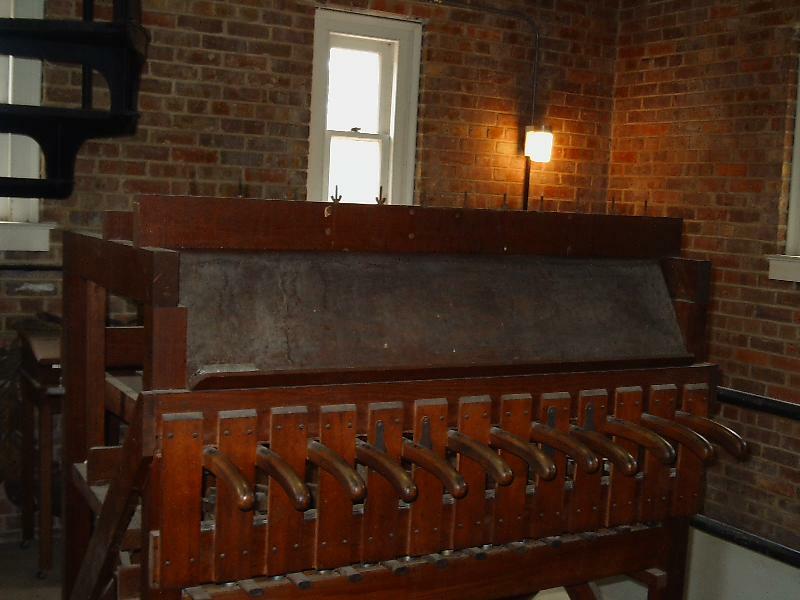 The UNC Website includes a campus tour page with the history of the tower and some photos. A more extended history can be found in the middle of a page on campus landmarks. The campus map is a PDF download (78KB), and is readable if you enlarge it to 200% or more; the bell tower is just north of the stadium, which is in the center of the map. 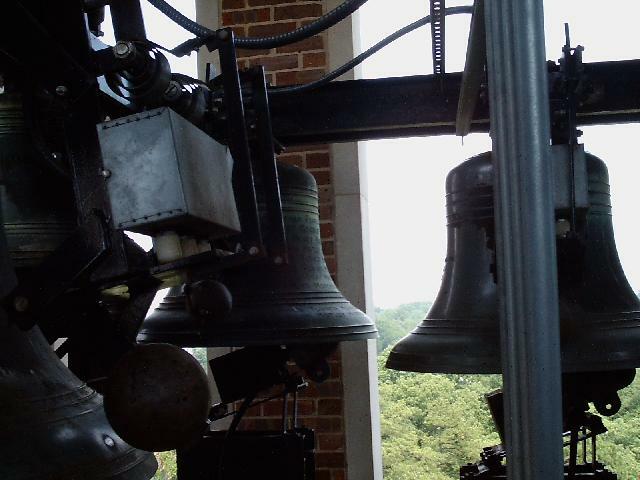 A UNC-CH facilities database will provide additional information when the Facility Name pull-down menu is set to "Bell Tower". A different photo of the tower is available there by clicking Photo after the General information about the tower is displayed. bells showing old pusher solenoids on turned original clappers, and new external solenoids and hammers. bells showing two added trebles with external mechanism. practice chimestand, probably not supplied by Meneely; note ends of xylophone bars below keys to provide sound. 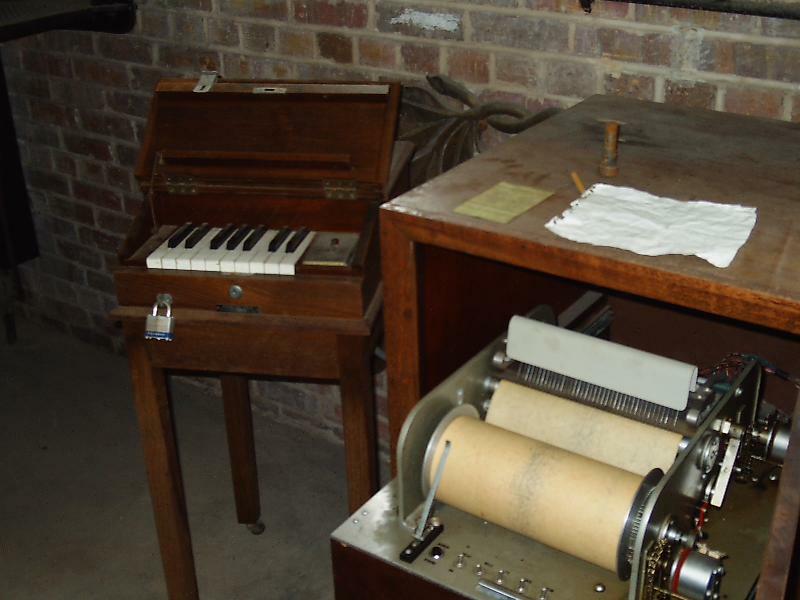 electric keyboard and roll player from 1967 (disconnected). A state tour page gives a different perspective on the history of the tower. A photographer's page has the best picture of the tower. Another picture by a visitor. Where the initial phase of this work lies in the sequence of output of the Meneely (Troy) bellfoundry. 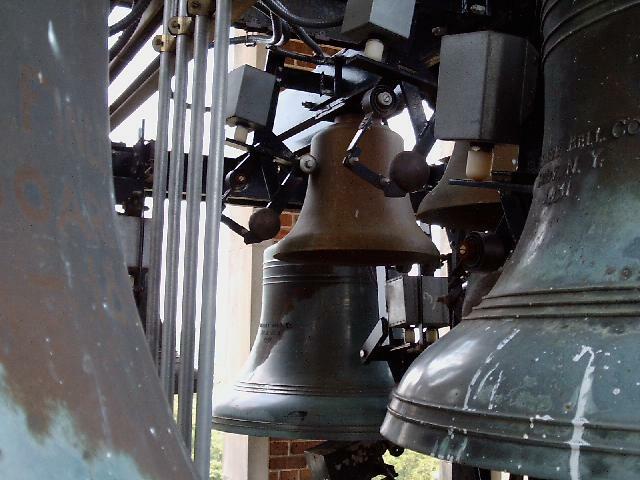 Index to all tower bell instruments in NC.